Join now and get an exclusive 200% bonus up to $1500. Visit Iron Poker Get your 200% bonus up to $1500! "Iron Poker offers spectacular gameplay, rewarding tournaments, fantastic promos, and huge bonuses. This relatively new site has already made its mark. Iron Poker operates on Playtech's iPoker Network. It's certified safe and secure. Fast, reliable withdrawals in just 1 day - most payments are made instantaneously ? All legitimate, real-money poker sites like Iron Poker have strict anti-fraud screens, and that may create a short withdrawal delay. Iron Poker offers players from CardsChat an exclusive bonus of 200% up to $1500 for free. Deposit $100 and you'll get an extra $200 to play with. Just sign up and make a deposit to claim your cash. Although Iron Poker has only been operating for a year, the strength of the site is undeniable. Thanks to award-winning Playtech software and participation on the iPoker Network, Iron Poker has no trouble competing with the big boys. Despite being glossed over by some less savvy players, iPoker happens to be the world's third largest poker network. While Iron Poker isn't yet a household name, the fully licensed poker site is more than earning its keep with some of the best promotions in the business. Whether you prefer cash games or tournaments, Iron Poker is always ready to serve up endless action. You'll not only find a solid selection of games at any hour of the day or night, but you'll always have a choice of tables thanks to thousands of players online. 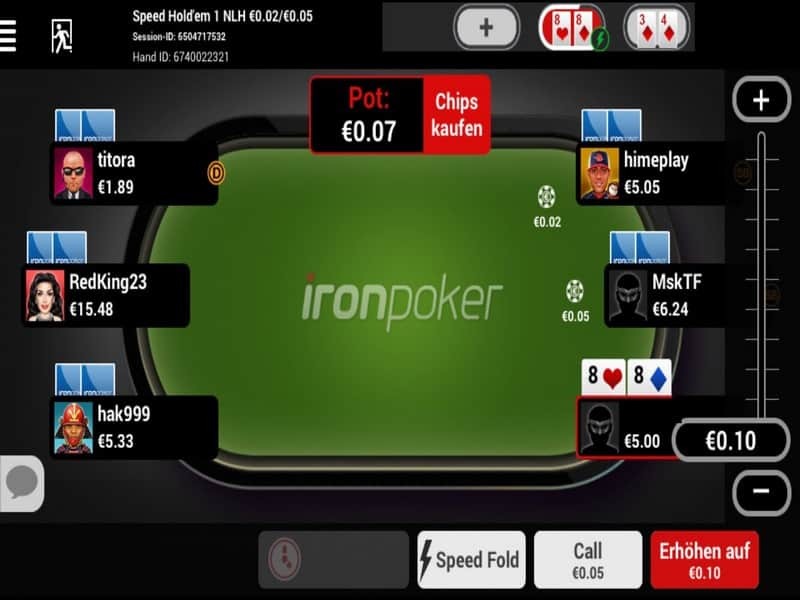 Iron Poker proudly welcomes players from across the globe, but it's particularly popular in Germany, Canada, and Australia. Unfortunately, US players are unable to play for real money at the moment. Yet the site is a great choice if you don't pledge allegiance to the star-spangled banner. Iron Poker offers its players a fantastic full-featured downloadable poker client. Although the software isn't as flashy as some of its competitors, Iron Poker always delivers an authentic poker experience. The software, which was developed by internet gambling heavyweight Playtech, will be familiar to anyone who has played at other iPoker sites including Titan Poker. Iron Poker players can count on great graphics and gameplay, as well as an intuitive interface that makes it easy to find exactly what you're looking for. Our Iron Poker online review team discovered that the software worked seamlessly even on older PCs. It's practically crash proof, provided you have a stable internet connection. It takes only a couple of minutes to download and install the free software. Yet our Iron Poker review team was surprised to learn there is no native Mac version available. Apple fans can still access the site by running Windows through Virtual Box or Boot Camp, although that may prove to be a hassle for some players. The good news is that there is a mobile version that works with the iPad, iPhone, and Android. 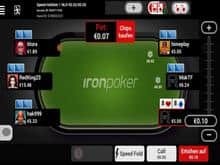 Iron Poker players can take advantage of handy features including multi-tabling, player notes, buddy lists, quick deposits without leaving the game, hand history replays, live chat support from the table, and more. You can even customize your experience with widgets, avatars, quick deposits, and hotkeys for faster play. Iron Poker knows that the world's greatest card game deserves to be enjoyed anywhere. That's precisely why they offer an excellent mobile app. All you need is an internet connection and an iPhone, iPad, Android smartphone or tablet to get started. Unlike too many poker sites, Iron Poker actually lets you access all its games on the go. There's no need to settle for special mobile tables when you can enjoy every cash game, sit and go, and scheduled tournament wherever you are. The mobile app even gives you the power to play up to four tables at a time. Due to screen size constraints, this feature works better on tablets than smartphones, but it's nice to have the option regardless. You can even take advantage of speed poker for incredibly fast action in the palm of your hand. Mobile players can use the same account and bankroll on their PC and mobile device. Everyone knows that a poker site is only as good as the games it offers. Fortunately, Iron Poker offers something for everyone. Although no limit and limit Texas Hold'em cash games are the most popular, you'll also find lots of Omaha, Omaha Hi/Lo, and Stud games for every budget. With sports betting, casino games, and live betting on the virtual premises, Iron Poker attracts its fair share of unskilled players to its card tables. That's excellent news for anyone with a decent set of poker skills who likes winning. Who wouldn't want to easily crush an opponent who just won hundreds wagering on football yet is oblivious to the intricacies of Texas Hold'em? If you aren't into grinding, Iron Poker offers an impressive tournament schedule. With over €5M in guaranteed prizes every month, you'll want to clear space in your calendar right now. Discover affordable excitement like the famous iPOPS micro tourneys, which let you compete for your share of €100K for as little as €0.20. Play for riches every weekend with more than €200K up for grabs each Sunday. You'll even find a major guaranteed tournament every night of the week, but the €75,000 Big Sunday always takes the cake. For players who aren't into waiting around, Iron Poker offers exciting Sit and Go tourneys. Experience the innovation of Fort Knox, Maui, and Rio jackpot tournaments that will reward you handsomely when you win a series of 6-player tournaments. Accelerate the pace and potential rewards with Twister Sit and Go tournaments. These thrilling turbo games let you win as much as €8,000 for a tiny €1 buy-in. Iron Poker makes it easy to get your cash into the game. The site welcomes more than 20 payment methods including credit cards, debit cards, bank transfers, electronic wallets, and prepaid vouchers. It's simple to start playing instantly with Visa, MasterCard, Neteller, Skrill, paysafecard, and other popular trusted payment methods. If you're like most poker fans, you're probably playing to win. Luckily Iron Poker makes it easy to claim your winnings. Whether you win a few hands or triumph in a landmark tournament, you can expect to be paid promptly. Like most sites, Iron Poker prefers to pay you using your original deposit method. Yet they can also issue you a check by mail or courier. Iron Poker welcomes new players with one of the strongest welcome packages in the business. Players can profit instantly with a 200% deposit bonus for up to $1500 in free cash, but that's just the beginning. New sign ups will also receive six freeroll tokens for a chance to play for $16K in guaranteed cash. Plus, there are additional freerolls that require no deposit at all as well as a leaderboard exclusively for new players. Our Iron Poker online review team was most impressed by the rewarding rakeback that puts cash back in your pocket every time you play. The perks aren't exclusively for new players at Iron Poker. The site offers exciting daily and weekly missions that could take you all the way to Las Vegas. Take advantage of freerolls and affordable satellites to earn your spot in a live WPT event. With rewarding bad beat tables, progressive jackpot games, leaderboard contests, and freerolls, it's easy to win handsomely without breaking the bank. Iron Poker also offers a great VIP program that lets you earn points whenever you play. With six distinct levels, it's easy for players to earn tournament entries, cash bonuses, and exclusive prizes. The more you play, the more perks you can expect. The only drawback is that players may have a tough time choosing between the VIP program and the rakeback program since you can't use both. 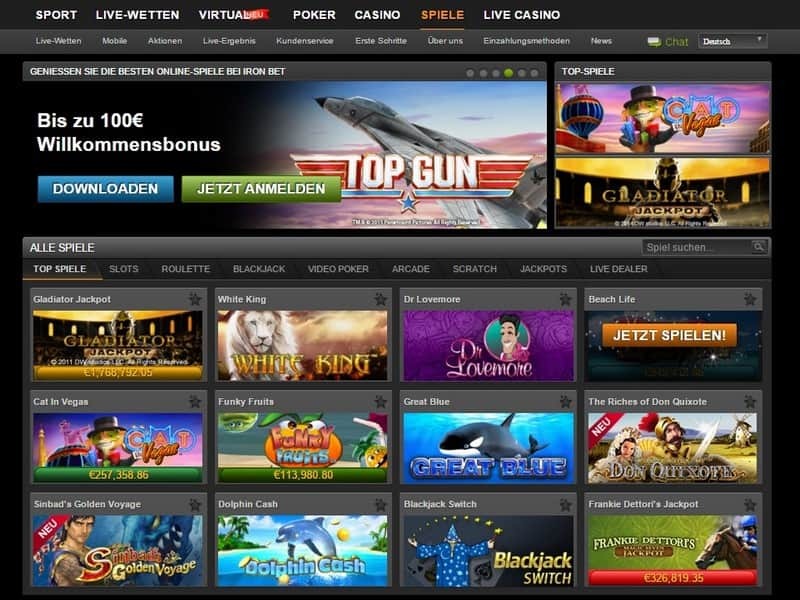 Anyone who has ever gambled online has probably noticed that most sites are similar. They offer the same games, almost identical software, and comparable promotions. Yet one way that poker rooms stand out is in the level of service they offer players. As one of the internet's newer sites, Iron Poker is willing to go the extra mile to earn your trust. That includes giving you plenty of personal attention with great support. Whether you need help signing up, require technical support, or want to know when you'll receive your winnings, friendly agents are ready to help you around the clock. Whether you choose to call the toll free number, take advantage of the in game live chat feature, or send an email, you can count in quick and attentive service. Like all reputable poker rooms, Iron Poker is committed to protecting players and offering fair games. Iron Poker is fully licensed and regulated by the Malta Gaming Authority. In addition, the gaming software is certified by Gaming Labs International to ensure that the cards you receive are completely random and mirror real world poker play. The gaming client also uses the latest SSL encryption at every stage of the game. Whether you are signing up, depositing cash, or enjoying the action, your information will be transmitted privately and securely. With ironclad security, you'll always be able to play with total confidence. Iron Poker isn't perfect. We've already touched on the lack of a Mac version and support for US players, but there are a few other minor drawbacks. Although you can make deposits using your local currency, most of the tables and tournaments are denominated in euros, which might annoy some players. 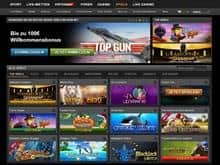 As a relatively new gambling site, Iron Poker lacks the comprehensive resources that other sites offer. You won't find poker lessons, exhaustive help sections, or tutorials on the site. Luckily you can take advantage of our CardsChat gaming guides. More importantly, Iron Poker offers incredible customer service. If you have questions, all you have to do is ask. Iron Poker is a great choice for players outside the USA. Despite its short history, Iron Poker has enough traffic to keep you entertained and in the winner's circle. When you factor in the easy competition, generous welcome package, impressive promotions, and lucrative rakeback program, Iron Poker is a horse worth backing. Log on and see for yourself why Iron Poker runs circles around the competition. Join Iron Poker and get a 200% welcome bonus up to $1500!